World number three Rory McIlroy has been grouped with Germany's Martin Kaymer and American Bill Haas for the first two rounds of the Masters. 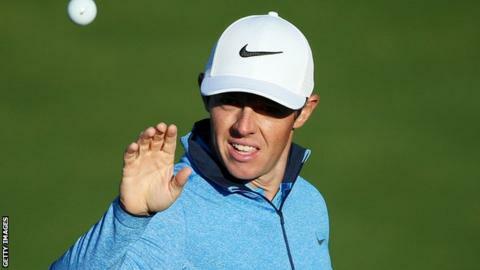 Northern Irishman McIlroy, 26, will tee off at 19:01 BST on Thursday and 16:05 BST on Friday as he looks to complete a career Grand Slam of majors. World number one Jason Day is grouped with Matt Kuchar and Ernie Els. Defending champion Jordan Spieth tees off alongside England's Paul Casey and American amateur Bryson DeChambeau. McIlroy said: "I think it's the third year in a row I've been off last either Thursday or Friday here. I was sort of expecting it. "I have many different ways to pass my time. We are working on another jigsaw puzzle and we brought Monopoly to the house that we're renting, so there's a lot of really fun stuff going on!"